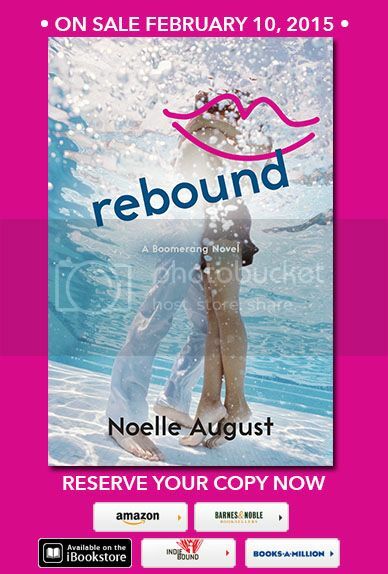 I am so beyond excited to help share the cover for Rebound (Boomerang #2) by Noelle August! 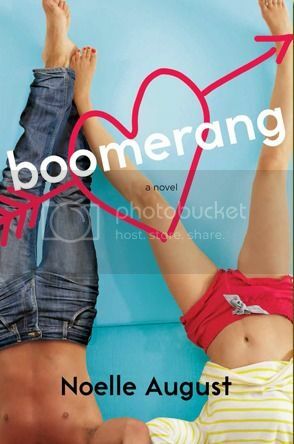 Earlier this year, I read Boomerang and found it to be a breath of fresh air in the New Adult genre. Tons of fun and full of heart. 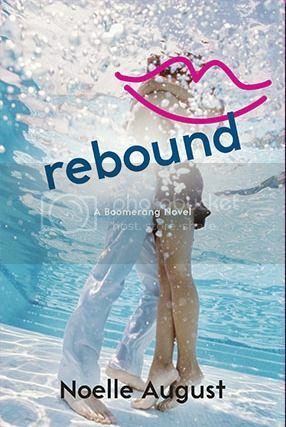 Rebound is the second installment which switches focus to a couple interesting characters we’ve already met but just scratched the surface with. I can’t wait to see how this new relationship blossoms! I adore this cover. Fun and light with the water embrace and bubbles. And of course the drawn lips to match the drawn heart from Boomerang‘s cover. I cannot wait to read this come February! What do you guys think? NOELLE AUGUST is an anagram for Veronica Rossi and Lorin Oberweger. Just kidding, it’s a pen name! VERONICA ROSSI is the author of the New York Times Best-selling UNDER THE NEVER SKY trilogy for young adults. The books are available in more than thirty countries and the film rights have been optioned by Warner Bros. Veronica completed undergraduate studies at UCLA and lives in Northern California with her husband and two sons. She is fond of dresses with pockets, fluffy dogs, and cheese and chocolate — but not together. LORIN OBERWEGER began her storytelling career by captivating her first-grade class with tales of her summers on a kibbutz in Israel. Lorin had never been to Israel. While teacher/parent night put an end to her first experiments in fiction, she’d already caught the bug and eventually made a career of all things story. As a long-time independent editor and story development guru, Lorin’s client successes range from small press publications to major bestselling novels. She’s an award-winning author and has also worked behind the scenes as a ghostwriter on a variety of projects. 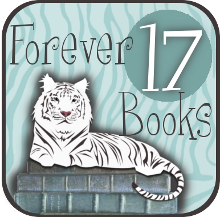 Her work has received starred Kirkus reviews and glowing mentions in The New York Times. Oh, she did get to see a kibbutz, eventually, and found out she had it pretty much right all along. I love underwater covers. I’ve been looking forward to this cover for a while. Glad to see it’s a good one! 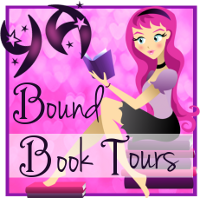 Nereyda @Mostly YA Book Obsessed recently posted…Audiobook Review: Stray by Elissa Sussman!